Affordable Dumpster Rental of Sarasota/Bradenton (941) 888-0016, Starting at $199! Welcome! 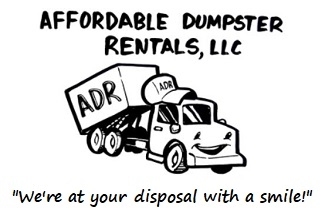 Looking for Dumpster Rental Prices? We are here for your Dumpster Rental needs! Proud to Serve Sarasota & Bradenton and Surrounding Cities! Welcome! Looking for Dumpster Rental Prices in Sarasota? We are here for your Dumpster Rental needs! Welcome! Proud To Serve Bradenton for your Dumpster Rental Needs! Affordable Dumpster Rental provides low-cost Residential and Commercial Roll off Dumpsters and Dumpster Bins starting at $199. We’re Bradenton / Sarasota's premier dumpster rental service to call today for rates and services. Our Sarasota and Bradenton Dumpster & Bin Rental Service includes: Residential Roll off Dumpster Rentals - Construction Dumpster Rentals - Bulk Trash Dumpster Rentals - Garage Clear Out Dumpster Rentals - Landscaping Waste Dumpster Rentals - Commercial Dumpster Rentals - Roll off Dumpsters and Bins for any job! Rent a Roll-off dumpster and dumpster bin for all projects! Rent a roll off and bin dumpster containers in Sarasota / Bradenton, for trash removal or construction waste removal. Looking for Cheap Dumpster Rental Prices in Sarasota / Bradenton? Our Dumpster Rental Service Areas include: North Port, Sarasota, Bradenton, Manatee, Venice, Palmetto, Ellenton, Englewood, Lakewood Ranch, Nokomis, North Venice, Osprey, Parrish and all surrounding areas. Dumpster Rental Service Areas: North Port, Sarasota, Bradenton, Manatee, Venice, Palmetto, Ellenton, Englewood, Lakewood Ranch, Nokomis, North Venice, Osprey, Parrish and all surrounding areas. Subpages (3): Proud to Serve Sarasota & Bradenton and Surrounding Cities! Welcome! Looking for Dumpster Rental Prices in Sarasota? We are here for your Dumpster Rental needs! Welcome! Proud To Serve Bradenton for your Dumpster Rental Needs!